The Rescue Engine is a unique piece of apparatus, it is recognized as a fully equipped Engine Company as well as being a fully equipped Rescue Company. With limited reserve apparatus available in Prince Georges County, the MVFD was forced to come up with a solution to solve a glaring problem: what do we do when the Rescue Squad is out of service? On top of that the 1995 Pierce Lance Pumper known as Engine Company 271 was aging and becoming challenging to maintain. 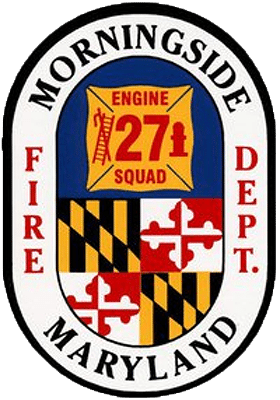 The MVFD recognized that a Rescue Engine at Company 27 would be ideal and was consistent with the service we provide. From that predicament Rescue Engine 27 was born, a fully functional firefighting platform as a Class A Pumper with enough compartment space to carry all the required equipment of a Rescue Squad. Though it has only been in service a short period of time, it has already received national attention and is another example of the MVFD’s commitment to excellence.